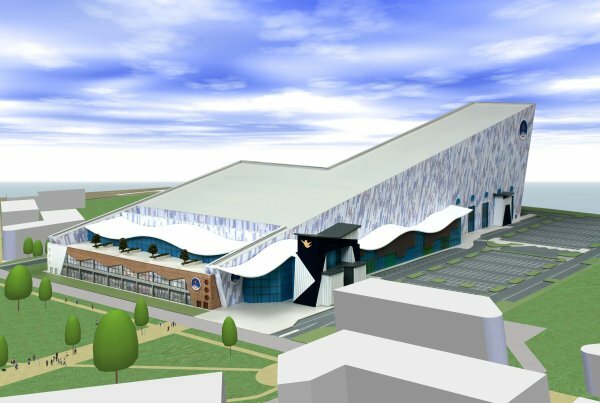 After being granted planning approval in July this year, the pair behind the £50m Weston-super-Mare Leisuredrome have today announced that they have secured four food and drink brands for the venue. Mark and Clive Hamilton-Davies are the entrepreneurs behind the Leisuredrome, which will include a 210 metre ski slope, the longest in the UK, and an indoor climbing centre with a 40 metre climbing wall, the tallest in the world, alongside an indoor surfing centre and sky-diving facility. It will also support the local community with fitness and meeting facilities, including a children’s centre, BMX skateboard park and gymnasium. Today is was announced that four businesses – including three local companies – will be tenants of the new complex, namely Subway, Swindon’s Tennessee Chicken, local brewery Butcombe and Fairtrade organic coffee supplier, SOHO Coffee Co.
Chris Copner, SOHO Coffee Co. director, said: ‘’As a south west based business SOHO Coffee Co. is delighted to be a part of the Leisuredome, which will undoubtedly be a leading leisure and tourist destination for the region. The Leisuredome will be located on a 12.7 acre site at Locking Parklands, a former RAF site in Weston-super-Mare currently being redeveloped into a £400 million sustainable community. Construction is expected to start by Spring 2012.